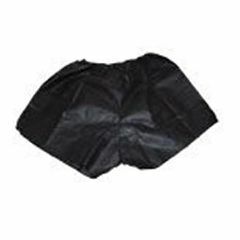 Dukal Relectionsâ„¢ Spa Undergarments - Men's Boxers in Black - 1 PairDukal Relectionsâ„¢ Spa Undergarments are made of soft spunbonded material. They are comfortable with just the right amount of coverage. A variety of styles are available to accommodate any treatment including waxing, facials, massages, etc. Each garment is individually wrapped for hygienic purposes.